(by Mark H. Anderson, The Wall Street Journal) WASHINGTON — The Supreme Court on Tuesday began memorializing Justice Antonin Scalia and said his body will lie in state at the court on Friday before his funeral is held, offering the public a chance to pay their respects, court officials said. Scalia, who died suddenly over the weekend in Texas, will lie in repose in the Court’s Great Hall on Friday. A private ceremony will take place at 9:30 a.m., and the public will be allowed in from 10:30 a.m. until 8 p.m. The last such occasion was a little more than a decade ago after the death of the late chief justice William H. Rehnquist. Rehnquist’s casket was carried in by a group of pallbearers that included his former clerk John G. Roberts Jr., who at the time had been nominated but not confirmed yet to succeed him as chief justice. Scalia’s funeral is expected to follow on Saturday at the Basilica of the National Shrine of the Immaculate Conception, according to reports from NPR News and other outlets. 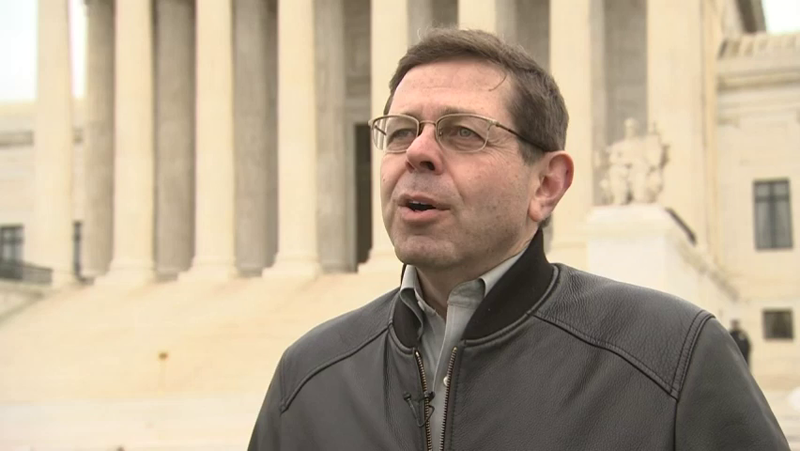 Officials with the Supreme Court and the Basilica did not respond to requests for comment Tuesday. The high court, following a tradition that dates to the 1800s, draped Justice Scalia’s courtroom bench chair and the bench directly in front of it in black wool crepe in his memory, the court said in a release. The court also placed black drapes over the courtroom doors. 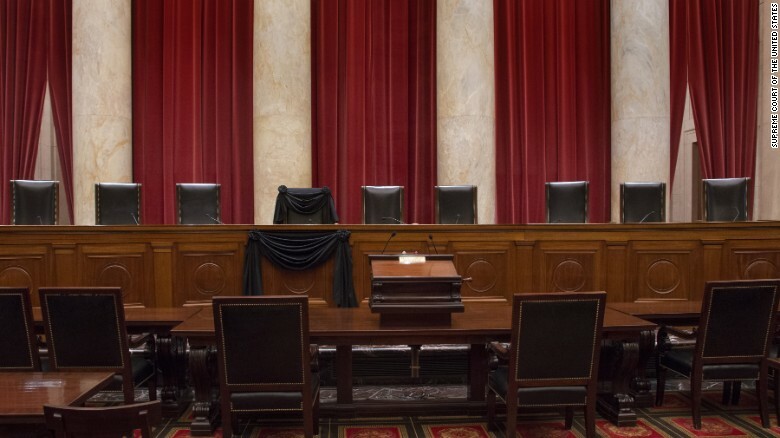 The practice of draping the bench chair is followed for sitting justices who die in office. Sitting and retired justices are memorialized with the draping of the courtroom doors. The court added the flags on the front plaza at the Supreme Court building will be flown half-staff for 30 days. Compiled from news reports by The Wall Street Journal and The Washington Post. Reprinted here for educational purposes only. May not be reproduced on other websites without permission. 2. a) When will the public be able to pay their respects to Justice Scalia? b) What will happen prior to this? 4. a) What tradition that dates to the 1800s is the court also following? b) How does this practice differ between sitting justices and retired justices? 5. For how long will the flags on the front plaza at the Supreme Court building be flown at half-staff? While it used to be a fairly common event, over the past half-century justices have rarely died while still in office. The last one to do so was Chief Justice William H. Rehnquist, who died in 2005 at the age of 81. Before him, the last time a justice died in office was Robert H. Jackson in 1954, during the presidency of Dwight D. Eisenhower. While Scalia’s death is unusual in recent history, that’s not the case over the full length of American history. An analysis by Marquette University’s legal blog in 2012 said that 38 of the 57 Supreme Court justices who served between the nation’s founding and 1900 died while in office, while 39 of the 46 justices who have served since 1900 left in retirement. “For the half century between 1955 and 2005, there was not a single death of a sitting Supreme Court justice,” the blog notes.